Today, surgeries can be performed with a minimal invasive procedure and with the ideal fresh clean environment offered in Milnerton, Cape Town; post operative rehabilitation is further enhanced. 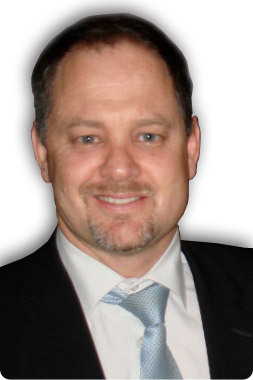 Dr. Peter Smith mastered the technique of hip arthroscopy by attending various local and international workshops. Hip arhtroscopy is a form of hip preservation surgery where certain intra-articular pathology may lead to the development of hip osteoarthritis in the younger patient. Many intra-articular pathologies, for instance labral tears, chondral deformation, loose bodies, pincers and CAM impingement can be fixed during arthroscopy surgery. necessary. The recovery is quicker and patients can be discharged after 3 days. Pain is usually less than during conventional hip replacement approaches. Dr. Smith performed more than a thousand arthroscopic ("key-hole") surgery procedures on the knee including primary and revision cruciate ligament reconstructions. The patella is also the source of many sports related injuries or malalignment syndromes. Realignment procedures for the kneecap may lead to better function and pain relief. Knee arthroplasty is of particular interest to Dr. Smith. He performs knee preservation surgery, e.g. High Tibial osteotomies, on the younger patients where a total knee replacement may yet not be indicated. Unicompartmental knee replacements may lead to a more physiological knee and the recovery is usually quicker with less pain. Total knee replacement surgery may be performed in the conventional way. In certain selected patients, Dr. Smith may select the use of patient specific cutting guides. With this technique the surgery is quicker and specifically adapted to the anatomy of the patient. Anterior-Cruciate Ligament Injury: Does it require Surgery?